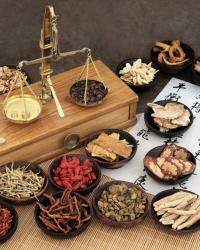 Traditional Chinese Medicine or TCM has been around for centuries. Dating back to 2,500 years ago, this ancient form of healing was used in Greater China and was recognized globally in recent years. TCM’s focus of healing is on the body’s energy and the mind body connection. It follows the concept that the body is a complex network of interconnected parts, which it refers to as Qi that circulates through channels called meridians. TCM practitioner’s see the important connection of the mind and body in healing diseases. Contrary to conventional medicine, TCM doesn’t treat diseases, rather it treats the roots of the illness, the very reason why it gained popularity even among conventional medical communities. 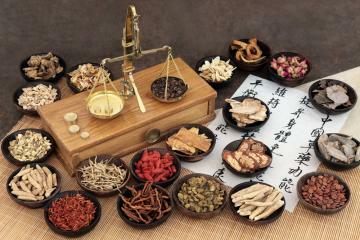 More and more people started to prefer TCM’s holistic approach to heal over conventional drugs. The main purpose of acupuncture is to manage or lower pain, improve hormonal balance, and reduce stress levels. This method involves the use of small needles on a specific acupuncture point. These needles are gently inserted into the superficial skin, subcutaneous tissue, and muscle. TCM believes that the human body has at least 2,000 acupuncture points that are connected by meridians. These meridians are the energy pathways, which regulate the balance between the yin and yang energy. These energies, though contradictory, complement each other and represent every phenomenon in the universe including the human body. The lower part of the body is what the yin represents, and the upper part of the body and the back is where the yang dominates. Any imbalances in the body mean there’s too much or less of yin or yang energy in those parts. 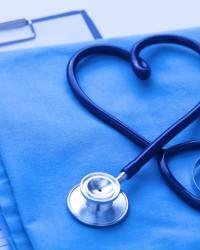 The symptoms can include too much heat or cold in the body. This is where acupuncture enters into the picture. By putting needles on certain points, proper flow of both energies will be achieved. And there would be harmony between mind and body. Moxibustion is the process of burning mugwort herb on or near the skin, which is often accompanied by acupuncture. Its purpose is to increase heat in the blood, stimulate Qi flow, strengthen the kidney, expel wind from the body which causes cold, and dissolve stagnation. This is a combination of massage and acupressure, which uses several techniques such as thumb presses, rubbing, percussion, and assisted stretching. This method is used to treat chronic pain and musculoskeletal problems. Unlike common massage techniques where the patient has to take off their clothes, patients are required to wear their clothes on and sit on a chair during the session. This method has been used by many people including athletes to treat their back pain. Aside from pain management, cupping is also used to improve immunity and digestion. The process of cupping involves placing a number of glasses on the body. The glasses are warmed up by lighting a match inside them, which are then removed quickly before the glasses are placed on the skin. This is done to remove the oxygen inside the glasses. When placed on the skin and the air inside cools down, the glasses stick to the skin and create suction, which gives the body a reverse pressure massage benefit. Chinese herbs are used for the treatment of inflammation, to fight free radical damage, and to boost liver function. The leaves, roots, stems, seeds, and flowers of cinnamon bark, ginger, ginseng, licorice, and rhubarb are often used. The extracts of these herbs are used for teas, capsules, granules or powder. The Chinese believed that nutrition is an essential part of staying healthy and preventing the body from developing any type of diseases. The right nutrition prevents deficiencies, boosts energy, and improves the body’s detoxification processes. A balanced diet consists of eating foods that have different effects on the body. Spicy foods can warm the body, sour, salty, and bitter foods function to cool the body, and the sweets have properties that strengthen the body. Exercise is another key to staying healthy whether in traditional or conventional healing approaches. In TCM, the popular forms of exercise include Tai Chi and Qi Gong, which are said to improve flexibility, strength, and concentration. These are martial arts exercises that use slow, deliberate movements, meditation, and controlled breathing. When you follow these practices, you will reap the benefits of improved circulation, balance, proper body alignment, and restored Qi or energy. While TCM recommends these exercises to patients with health conditions, athletes also follow these practices to achieve better balance and muscle control. Because the slow movements follow different patterns, the body moves gently and gracefully without putting any strain on your joints and muscles. And if you don’t want to sweat your body working in the gym, Tai Chi and Qi Gong can be a good low intensity exercise for you. Tai Chi and Qi Gong target specific areas in your body such as the arms, core muscles, legs, glutes, and back. But all in all, you’ll be moving your whole body while performing these exercises. Since you’re only moving your body, no equipment is needed for these exercises. You can do them either outside or inside your home. Others prefer to exercise outside for fresh air since these exercises include deep and prolonged breathing. You can begin these exercises with zero cost at all if you only follow online videos. DVD versions for beginners are also available. 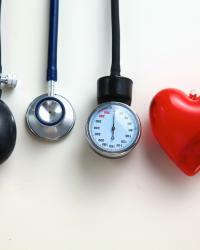 But then if you have health conditions that affect your balance and movement, you should first check with your doctor.